When I pressed ‘publish,’ on my first blog post almost four years ago, I certainly didn’t have accolades in mind. My only goal was to reach couples on the brink of marriage and to try to help them to see how important their wedding ceremony was, if they didn’t know it already. That, and giving a new home to the masses of wedding knowledge and experiences that have been sheltering in my brain over the years, were my only aims. But I’m not going to lie. When the accolades do come in, I sure do sing and dance about them and drop a few fist pumps here and there. Because to me, accolades mean validation and validation means that all the things I set out to do are having an effect and that effect comes in the form of you, my engaged and ready readers. Just last week I found out that Engaged & Ready is now ranked as the UK’s number 30 wedding blog, which let me tell you people, is a BIG deal. 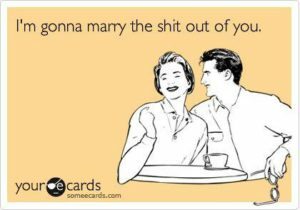 Every woman, child and dog has a blog these days (and extremely good ones, may I add) and the wedding blog world is no exception. There are literally hundreds and hundreds of wedding blogs in existence in the UK, not to mention globally, and to know my blog sits at number 30 is pretty mind blowing. So in a nutshell, they didn’t just look at all the pretty blogs and make a list on that basis, they actually did proper technical research and drew up their list on that basis. So why am I telling you all of this? The reason I’m telling you all of this is because you know those Google rankings, that’s because of you. Every post you read helps this blog to shine a little more brightly in Googleland. And the more the blog shines, the more other couples will see its light and follow the path. The interaction that you make on Engaged and Ready’s social media and the sharing of posts that you do, too, all help to leave breadcrumbs so that others can find their way. So thank you so much. This blog would not be a blog without you. Here is the full list of the top 50 UK wedding blogs, which because of you, I have the audacity to even feature on! Wow, wee now that’s a list and a half. 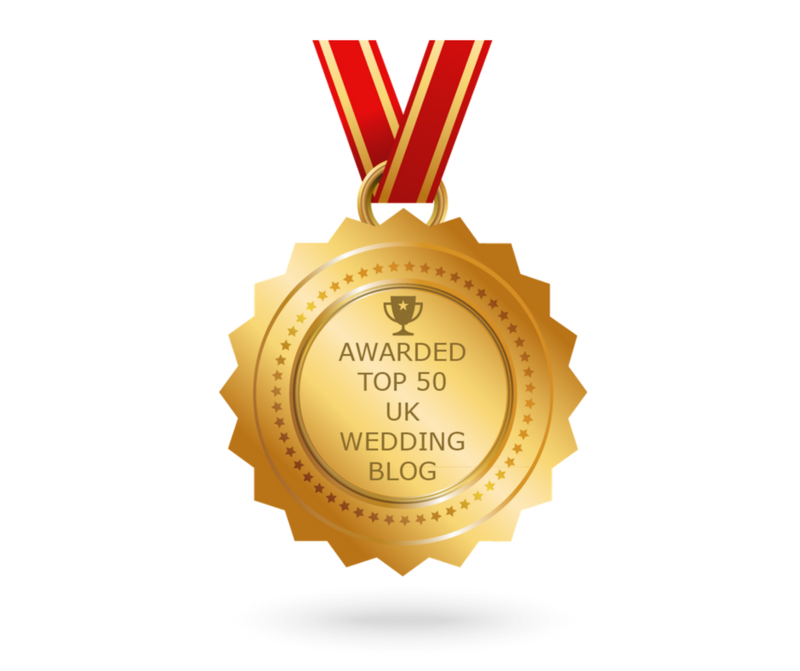 What a privilege to be on that list with so many of the amazing wedding bloggers who I have loved and admired for years, so many who’ve paved the way for me to do my thing! Okay, that’s it from me. I’m accoladed-out.